Introduced to the United States in 1946. May chase wildlife or motor vehicles or be tenacious or difficult to disengage from an activity. 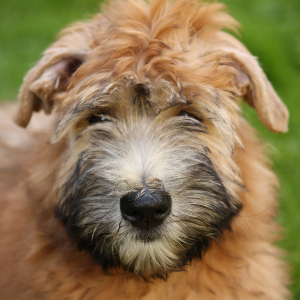 Soft Coated Wheaten Terriers enjoy dog sports such as agility, flyball, tracking, and obedience. 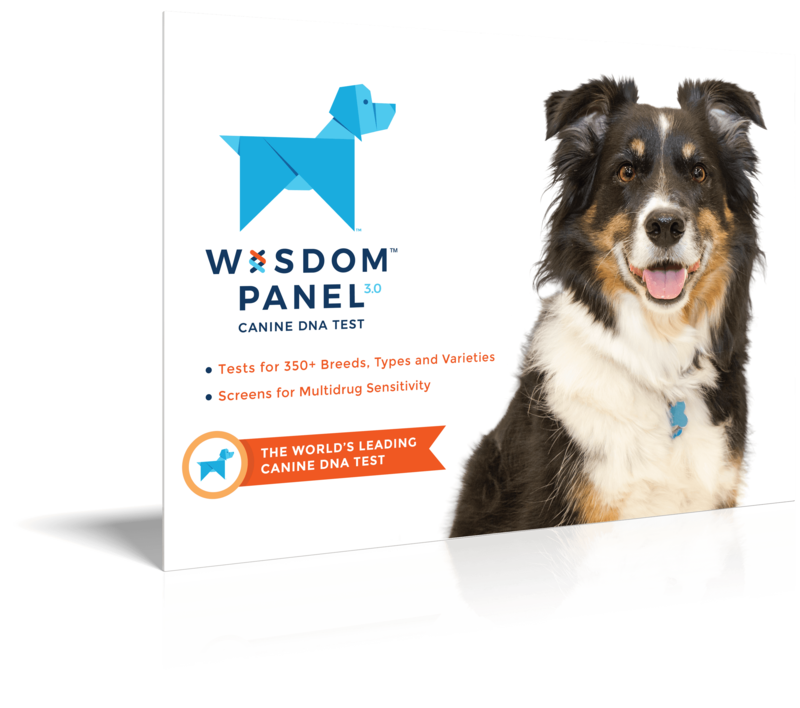 Often sensitive and stubborn, they respond to reward-based obedience training that uses motivational tools such as treats and favorite toys. Active, alert, and watchful dogs, with a unique ability to bounce or leap straight up off the floor when greeting or excited. 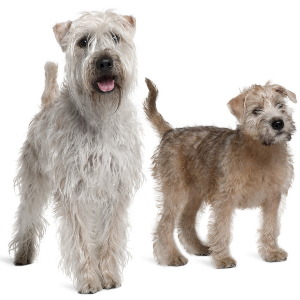 Believed to be one of the oldest terrier breeds from Ireland, the Soft Coated Wheaten Terrier emerged there sometime between the late 18th century and early 19th century. 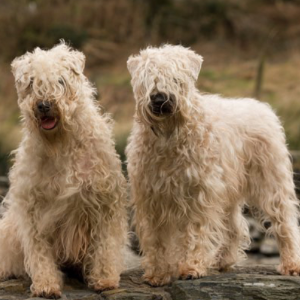 Spirited and playful, they were bred to be all-purpose farm dogs as well as companions. Their intelligence and alertness make them pretty skilled at a variety of farm related work, including herding and watching over livestock. What’s more, they kept the vermin away too. 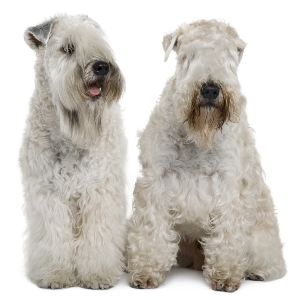 The breed was introduced to the United States in 1946. 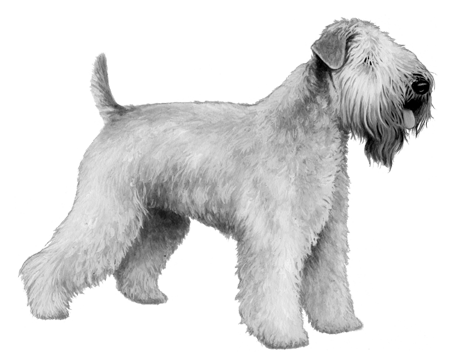 Although their fan base grew slowly, it still grew until, in 1962, the Soft Coated Wheaten Terrier Club of America was formed. 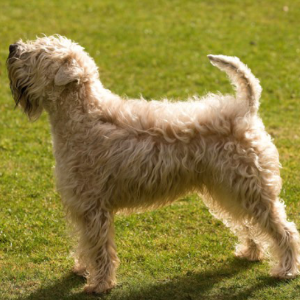 It’s a club that, much like this terrier itself, is still popular today.